The Eastman Egg Company Wants to Know What Type of Egg Sandwich You Are! 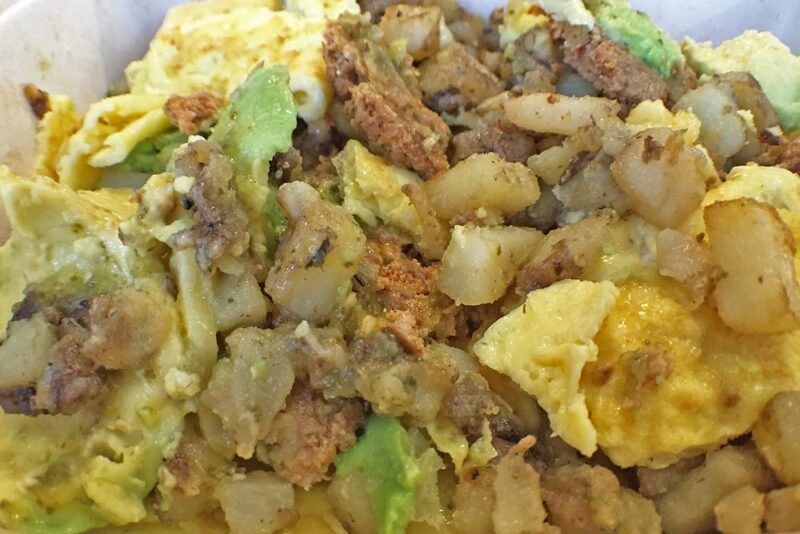 Starting life as a food truck, The Eastman Egg Company has been a commuter favorite in the Loop since opening a storefront in 2014. This daily breakfast and coffee shop sources their eggs and meats from a local producer and bakes all their bread daily along with homemade sauces and granola from scratch. 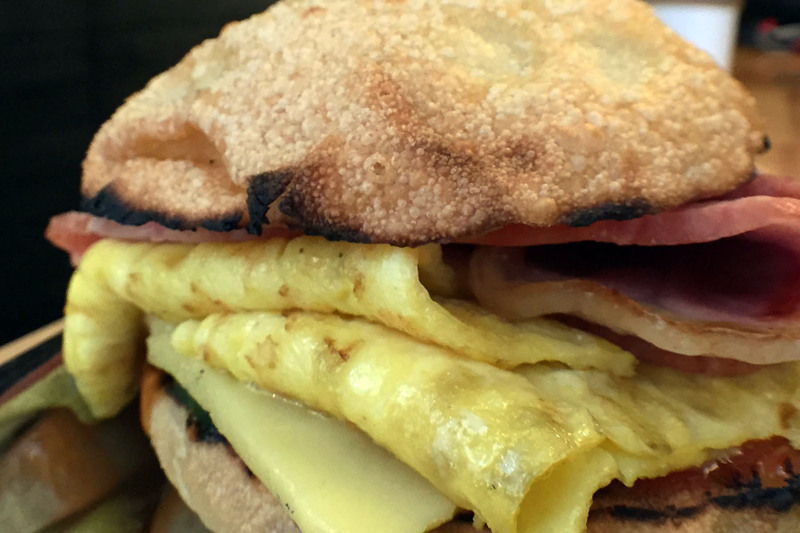 With recently launched Saturday hours, The Eastman Egg Company is showing you how breakfast sandwiches (and lunch!) should be done. Join us for a quick breakfast, won't you? 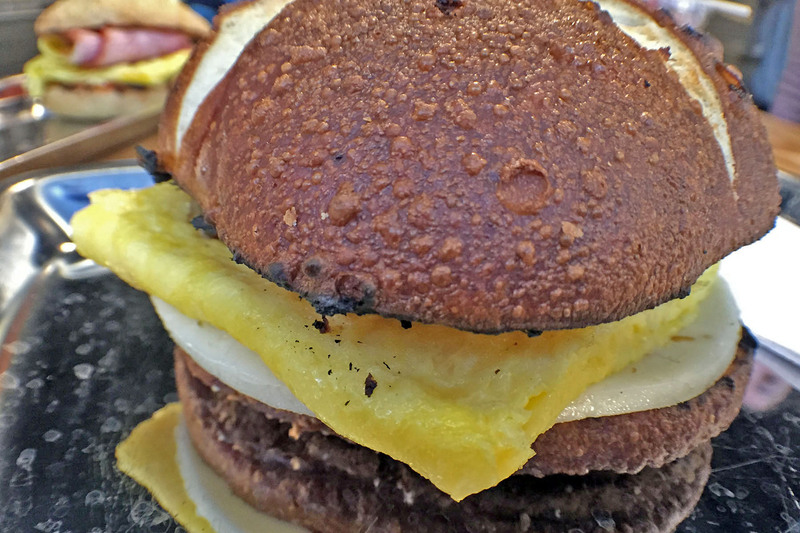 Breakfast sandwiches not only make our mouths water but when paired with a clever name, we can't resist. So which sandwich are you? How about The Doc? This sandwich is loaded with a farm egg, thick-cut bacon and white cheddar on Ciabatta bread. Or maybe you're The Eastman. The namesake sandwich delivers a farm egg with country ham, egmont cheese, sliced cucumber and house sweet chili sauce on Ciabatta bread. The Eastman. A namesake sandwich that would make Grandma proud. Guess what? You can customize any sandwich at Eastman. If you're feeling The Fairfax, you can't go wrong with a little extra bacon. This sandwich is layered with a farm egg, egmont cheese, sauteed bell pepper and wilted spinach on a 7-grain roll. Frankly, if you're a bit on the spicy side (you know who you are! ), you're definitely The Captain. Along with a fresh farm egg, this sandwich is packed with house pork sausage and pepper jack cheese on a pretzel roll. The Captain brings the heat. The Eastman Egg Company is brewing up Sparrow Coffee and now offers hours on Saturday! The Scoundrel is up next. If you're down for a fresh farm egg with smoked turkey, white cheddar, wilted spinach and house spiced honey mustard on a pretzel roll, then we've found the sandwich for you! The folks at The Eastman Egg Company realize bread isn't for everyone, so you can turn any of their sandwich creations into a bowl of eggy goodness. The Crown could top them all; a bowl brimming with farm fresh egg, chorizo, egmont cheese, avocado and house salsa verde. Ask for a side of the griddled potatoes added in, you can thank us later. 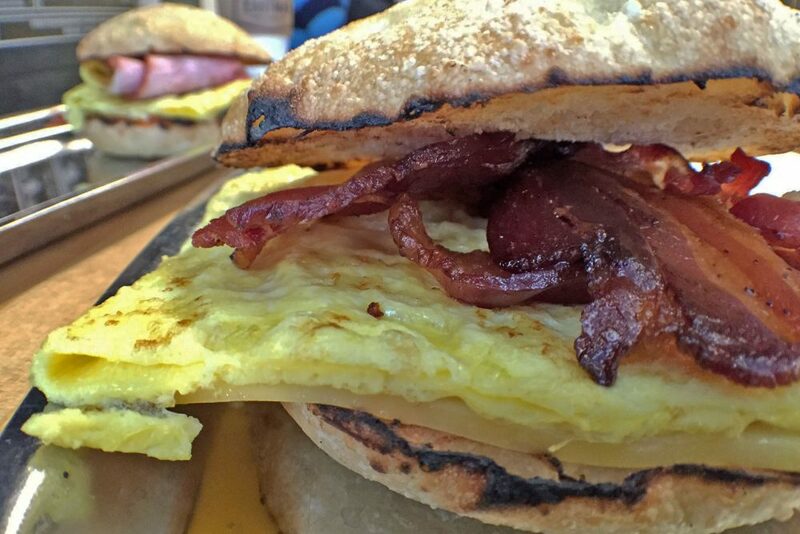 Maybe you're not a breakfast sandwich at all. 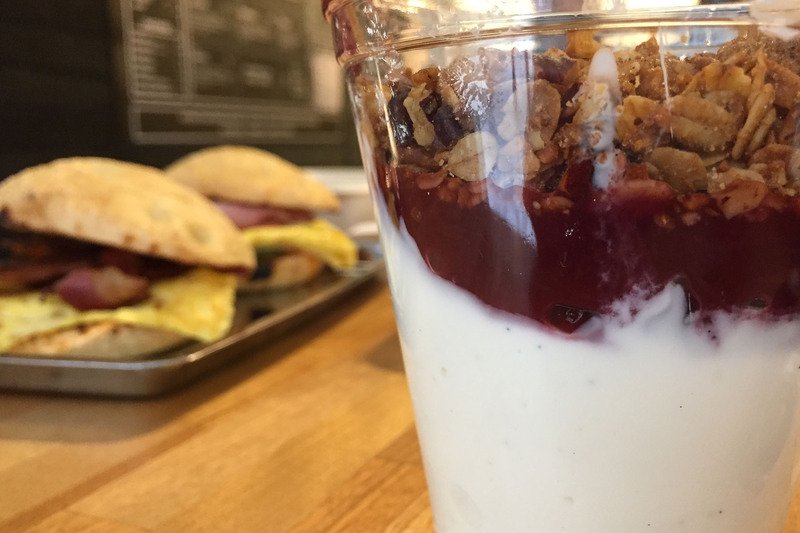 In that case, Eastman to the rescue yet again; check out The Cliff parfait - vanilla yogurt with toasted pecan granola and pink peppercorn cranberry jam.